The equity shares are proposed to be listed on BSE and NSE. 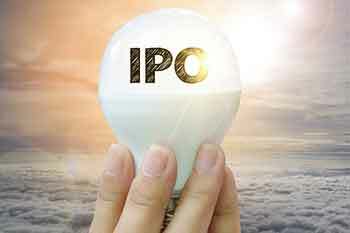 Garden Reach Shipbuilders & Engineers Limited (the “Company”), proposes to open on September 24, 2018, an initial public offering of equity shares of Face Value of Rs10 each (“Equity Shares”) for cash at a Price per Equity Share (including a Share Premium) (“Offer”) comprising an offer for sale 29,210,760 equity Shares by the Promoter, The President of India, acting through the Ministry of Defence, Government of India (“The Selling Shareholder”). The price band for the offer is from Rs115 to Rs118 per Equity Share. Bids can be made for a minimum lot of 120 Equity Shares and in multiples of 120 Equity Shares thereafter. The Book Running Lead Managers (“BRLMs”) to the Offer are IDBI Capital Markets & Securities Limited and YES Securities (India) Limited. The offer includes a reservation of up to 572,760 equity shares for subscription by eligible employees (as defined herein) (“Employee Reservation Portion”). The offer, less employee reservation portion, is referred to as the net offer. The offer and the net offer will constitute 25.50% and 25.% respectively, of the post offer paid-up equity share capital of the company. The Bid/Offer Period will close on September 26, 2018. A discount of Rs5 per Equity Share to the Offer Price may be offered to the Retail Individual Bidders (“Retail Discount”) and a discount of Rs 5 per Equity Share to the Offer Price may be offered to the Eligible Employees bidding in the Employee Reservation Portion (“Employee Discount”). This Offer is being made in terms of rule 19(2)(b) of the Securities Contracts (Regulation) Rules, 1957, as amended (“SCRR”). In accordance with Regulation 26(1) of the Securities and Exchange Board of India (Issue of Capital and Disclosure Requirements) Regulations, 2009, as amended (“SEBI ICDR Regulations”), the Offer is being made through the Book Building Process wherein not more than 50% of the Net Offer shall be available for allocation on a proportionate basis to Qualified Institutional Buyers (“QIBs”) (“QIB Portion”). 5% of the QIB Portion shall be available for allocation on a proportionate basis to Mutual Funds only, and the remainder of the QIB Portion shall be available for allocation on a proportionate basis to all QIBs, including Mutual Funds, subject to valid Bids being received at or above the Offer Price. However, if the aggregate demand from Mutual Funds is less than 5% of the QIB Portion, the balance Offered Shares available for allocation in the Mutual Fund Portion will be added to the remaining QIB Portion for proportionate allocation to QIBs. Further, not less than 15% of the Net Offer shall be available for allocation on a proportionate basis to Non-Institutional Bidders and not less than 35% of the Net Offer shall be available for allocation to Retail Individual Bidders in accordance with the SEBI ICDR Regulations, subject to valid Bids being received at or above the Offer Price. Further, up to 572,760 Equity Shares have been reserved for allocation and Allotment on a proportionate basis to Eligible Employees bidding in the Employee Reservation Portion, subject to valid bids being received from them at or above the Offer Price. All Bidders shall mandatorily participate in the Offer through an Application Supported by Blocked Amount (“ASBA”) process by providing details of their respective bank account which will be blocked by the Self Certified Syndicate Banks (“SCSBs”).